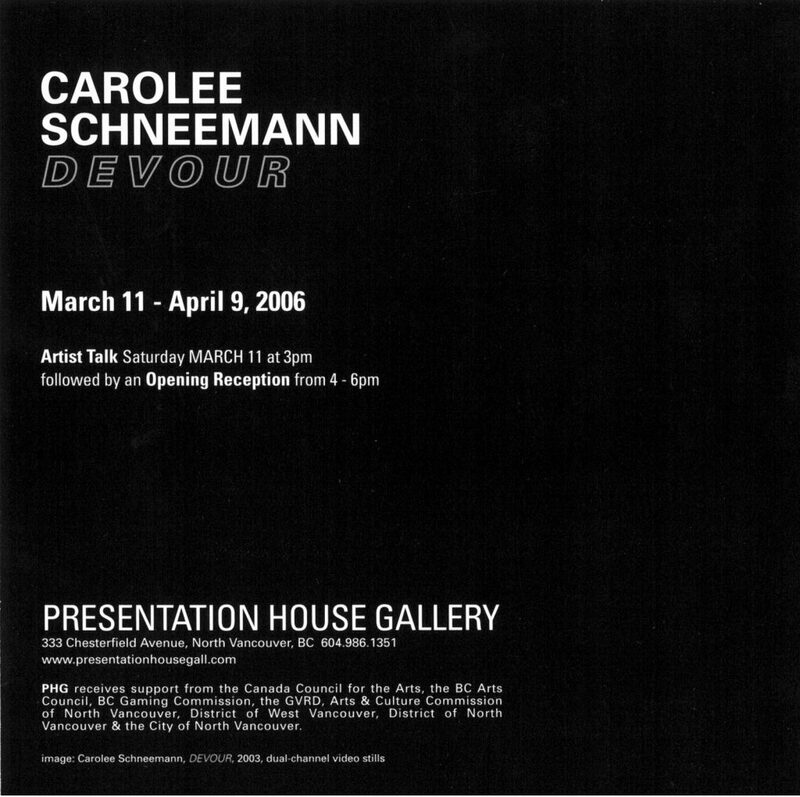 Carolee Schneemann is a multidisciplinary artist whose art has, for thirty-five years, been at the forefront of the interface between performance and sexuality, especially the discourse around the body and gender. 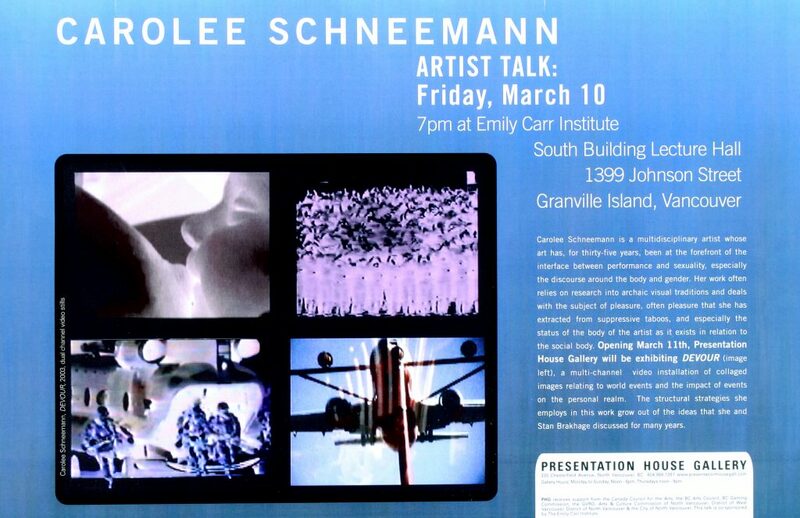 Her work often relies on research into archaic visual traditions and deals with the subject of pleasure, often pleasure that she has extracted from suppressive taboos, and especially the status of the body of the artist as it exists in relation to the social body. 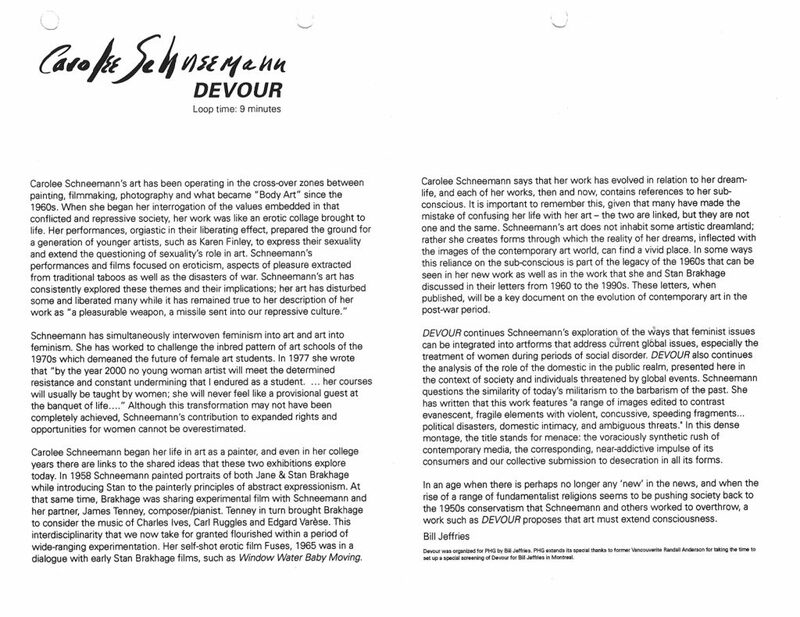 Devour (2003) is a dual-screen video projection of collaged images relating to world events and the impact of events on the personal realm. The structural strategies she employs in this work grow out of the ideas that she and Stan Brakhage discussed for many years.